Fort George played host to the very people the military stronghold was built to keep out over the weekend – Jacobites. 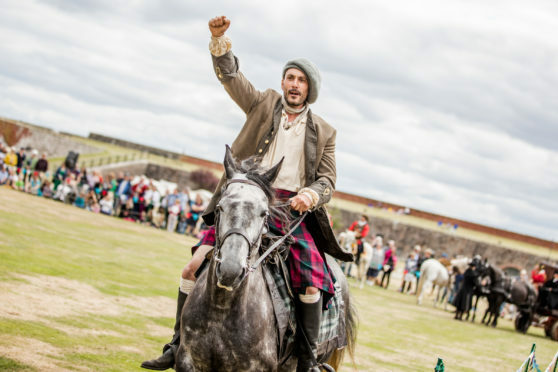 Thousands attended the Outlander-inspired Kings and Clansmen event on Saturday and Sunday at the most formidable fort in the north. In the first event of its kind, Jacobite soldiers shared stories based on the tales that inspired the Outlander novels. Visitors to the site, near Inverness, were able to travel back in time to the risings of 1689, 1715 and 1745 through three living history camps. The Covenanters told the story of the 1689 at the Battle of Killiecrankie where both government and Jacobite forces saw heavy casualties before the latter took the field. The Jacobite commander John Graham, Viscount of Dundee, famously died in the battle, and to this present day ceremonies are still conducted at the battlefield. The second camp concerned the Battle of Sherrifmuir in 1715 where the alleged military incompetence of the rebel leader the Earl of Mar was defeated by the more astute Duke of Argyle. And the third camp illustrated the fateful and still infamous Battle of Culloden in 1746 where the Jacobite cause effectively came to an end. 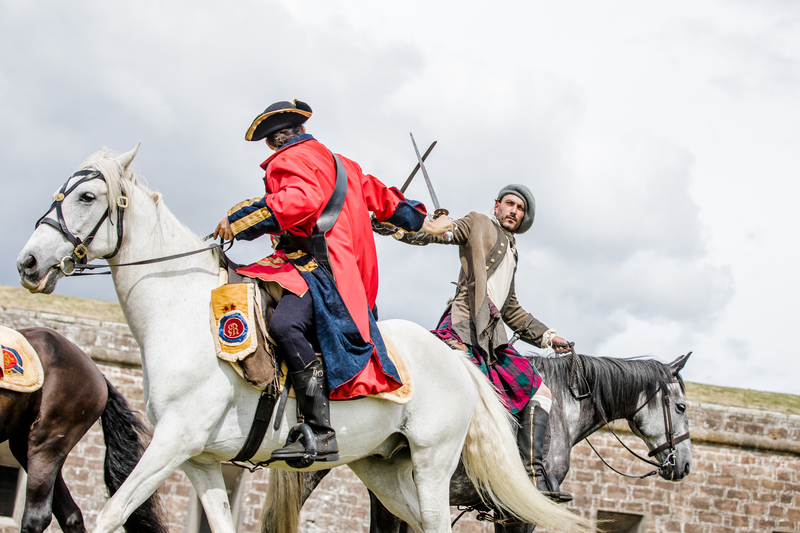 In each camp, visitors were able to see history brought to life from the origins of how the famous British army red coat or learn how to handle a real sword and see the fearsome Highland charge. For those not wanting too much exertion over the weekend they could learn secret Jacobite symbols as well as poetry and songs. The provision of medicine was explained by Claire the Herbalist, who spoke about which herbs were used for healing wounds got on the battlefield during Jacobite times. Finally rounding out the day was an action-packed Age of the Jacobites arena performance which, again, was inspired by Outlander. Attendees watched the Highland lass as she tried to escape the clutches of the redcoat captain. The scene was directly based on an incident from Outlander when the heroine Claire Randall was assaulted by a redcoat officer before being rescued by a Highlander.